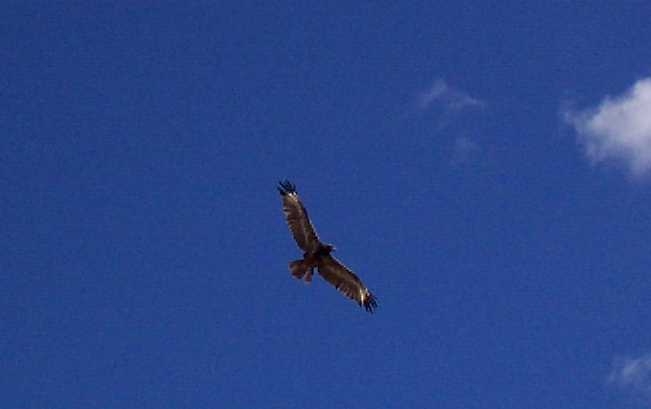 I'm not sure what type of hawk this is, I'm sure James will let me know. 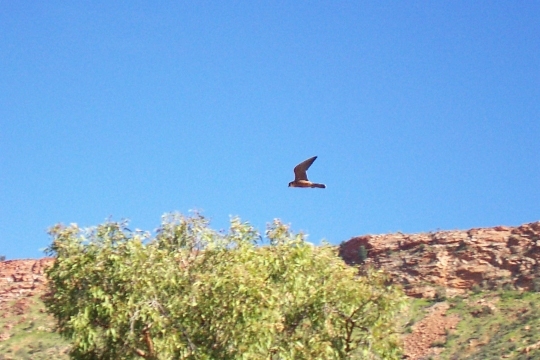 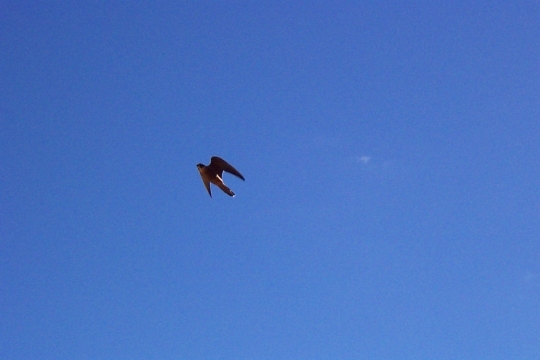 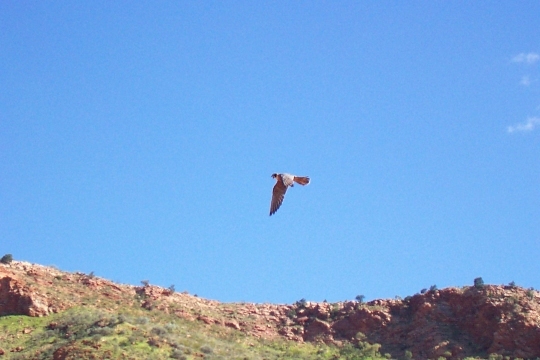 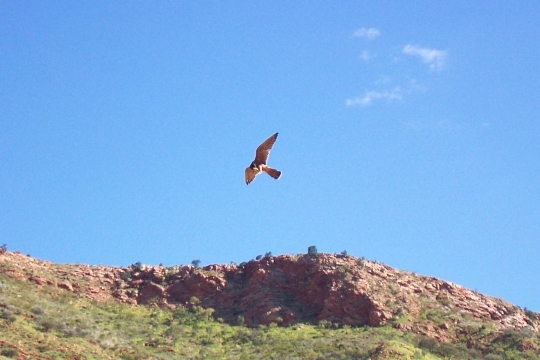 It was also part of the Nature Theatre show at Alice Springs Desert Park. 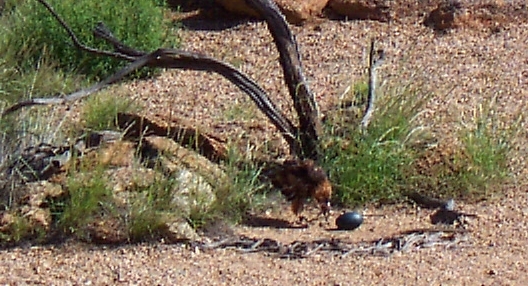 This was a smart hawk, using a rock to smash open this black egg. 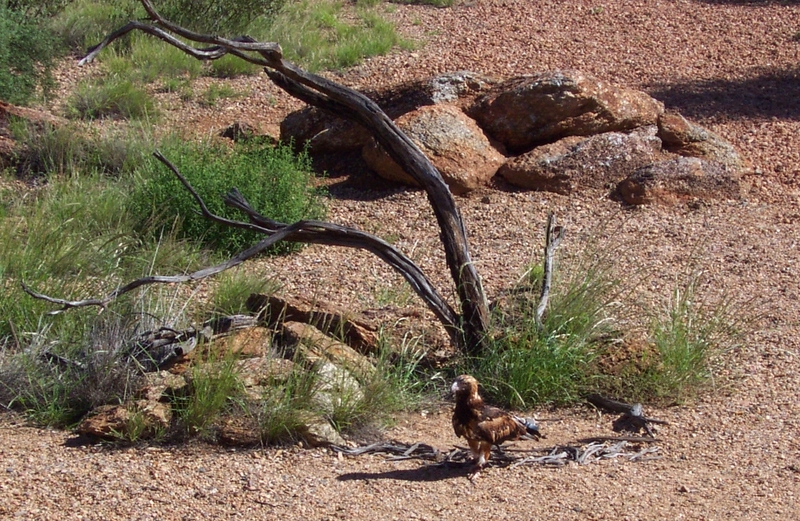 Done with egg, onto other hawklike tasks.